That was his way of telling us to not take what he said literally but to take it seriously. That was his way of getting us to look beyond factual history and see a deeper truth. That was his way of challenging our preconceived ideas and expectations so that we might see something new, hear something new, think something new, and, ultimately, become something new. I wonder if that’s what Jesus is doing in today’s gospel (Matthew 22:1-14, Proper 23A). I wonder if he could have attached the same caveat to his parable as did my professor to all his outrageous comments. Here’s what I mean. Have you ever received an invitation to a party you really did not want to attend? What did you do about that? I’ll bet you did not mistreat, abuse, and murder the mailman. That’s what happens in this parable. Maybe Jesus is given it hyperbole. 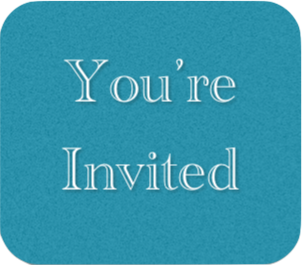 Have you ever invited people to your party who did not attend? You cleaned, you cooked, you decorated. The table was set, the candles were lit, the music was playing. Everything was ready but some of the guests didn’t come. Did it make you so angry that you killed them and burned down their houses? Probably not, but that’s what happens in this parable. Maybe Jesus is given it hyperbole. This parable of the King’s Son’s Wedding is so outrageous, so shocking, that it begs to be taken seriously not literally. It begs to be taken as truth not as historical fact. Besides, to hear this parable and conclude that God is an angry king who, if he doesn’t get his way, destroys his own people and burns their cities simply does not fit with the God revealed by Jesus Christ throughout the four gospels. If we tell that story as the gospel truth I think Jesus might call us liars. No doubt, this is a parable of judgment, but it may not be the judgment we think it is. Speaking about the first group of guests the king says, “Those invited were not worthy.” By implication those in the second-invited group were worthy. We tend to get nervous and fearful when God begins making judgments. It leaves us wondering whether we are in the first group or the second group. Are we unworthy or are we worthy? I suspect our nervousness and fear about God’s judgments arise from the assumption that God judges us in the same way we so often judge others. More often than not our judgments of others are judgments of exclusion. What if it’s just the opposite with God? What if Jesus is trying to shock us into seeing that the kingdom of heaven is not business as usual according to our standards? What if God’s judgment on our lives is one of grace, acceptance, and invitation; a judgment of inclusion? If that’s true then what separates or distinguishes the first-invited guests from the second? The difference isn’t that one was more deserving than the other. The first-invited guests were the recipients of the king’s invitation and favor. But so were the second-invited guests. And so was the man who showed up without a wedding robe. They were all invited. They were all favored. None of them had done anything to earn or deserve an invitation. It was just given. If that’s true for them, it’s true for us. The difference isn’t that the king likes one group more than the other group. His sole motivation is to share his banquet. He wants someone, anyone, everyone, to join in his joy and celebration, and be a part of his kingdom and life. Both groups were given the same opportunity. If that’s true for them, it’s true for us. The difference isn’t that some guests are good and others are bad. There is no distinction or judgment made based upon behavior, beliefs, attitudes, or morals. To the contrary, with the second round of invitations the king sends his servants into the main streets with the instruction to “invite everyone you find.” And they did. They “went out into the streets and gathered all whom they found, both good and bad.” If that’s true for them, it’s true for us. That’s probably not the kind of social life most of us live, offer to another, or receive from another. But the parable is talking about God’s kingdom not ours. So what is it? What’s the difference between those who were not worthy and those who were? There’s only one thing that distinguishes the first-invited guests from the second-invited guests. Presence. The second-invited guests showed up. The first-invited guests did not. The “wedding hall was filled” with the second-invited guests but the first-invited guests “would not come.” That’s the only difference between the two groups. The key to our life in God is to just show up, to be present. That’s a lot easier said than done. To be present is difficult work. Think how difficult it is to be present to another person. It means establishing the other person as our priority. It means seeing them for who they are and not who we want them to be or think they should be. It means opening ourselves to receive their life into our own. It means the vulnerability of entrusting and giving our life to the other. It means really listening to what they say and not just what we hear or want to hear. It means letting go of our own agendas, distractions, fears, and prejudices. It means bringing and offering all that we are and all that we have. If we’re not doing that with others we’re probably not doing it with God. Instead, we too often go our separate ways, to our farms and businesses. We’re too busy, too tired, too distracted. There’s work to be done and money to be made. We make light of the other’s life and what is being offered. If we don’t earn it or work for it we assume it has no value. After all you get what you pay for, right? We’re convinced we have better things to do and better places to be. That’s what the first-invited group did. What they did not realize, and what we sometimes do not realize, is that there is no life outside the banquet, the kingdom. To show up and be present is to be worthy before God. It’s that simple and it’s that difficult. We don’t earn or prove our worthiness as a prerequisite to entering the banquet. We show up, be present, and discover for ourselves the worthiness God has always known about us. That’s when our lives begin to change. But what about the guy who showed up without a wedding robe? This is about more than just a dress code violation. Something else was missing. “He was speechless.” It was as if he wasn’t really there. Jesus is reminding us that there are times when we show up but we’re not really present. Our body is there but we’ve left the room. I was hungry. I smelled the food. I trusted you to feed me. I was lonely. I saw the lights on. I trusted you to take me in. I was thirsty. I knew there would be wine. I trusted you to give me a drink. I was naked. I knew people would be well dressed. I trusted you to clothe me. I was sad and grieving. I heard music and laughter. I trusted you to share your joy. I was empty. I saw abundance. I trusted you to fill me. I was dying. I saw the door was open. I trusted you to give me life. And if that’s true for him, then it’s true for us. I think my email address is in your system twice. I get two messages of the same post one immediately after the other. emoorefield85@gmail.com. Eric, I apologize for that. I see where you subscribed by e-mail about 4 months ago. Perhaps you subscribed by e-mail and followed through WordPress? I don’t have the ability to unsubscribe someone. There should be an unsubscribe link on the e-mails. I hope this helps. What a beutiful perspective on this parable. So too at this present time, I have reserved a remnant “saved by grace”! Jesus Christ did not die for everyone! If He did….no one would go to hell, and we know that’s not true! No sign will be given this wicked and adulterous generation…except the sign of Jonah! Jonah went to Nineveh and warned them of the impending doom that was coming to them. Everyone “believed (obeyed), repented (turned from their practicing sin) and God did not destroy them! Repent and believe! Actually Barb, I do believe that Jesus died for everyone. I guess I am not as quick to believe or certain as you are that some are excluded and consigned to hell. Salvation is a supernatural work of God in which a dead soul is brought to life! God says you are a New Creation!! Please listen to Arturo Azurdia. He does the Revelation also Hebrews and many others! The Bible says we too had the good news proclaimed to us just as they did, but it was of no value to them because they did not share in the faith of those who obey! It’s called the New Covenant”. The Bible says God will write His laws on our hearts and “CAUSE” us to obey!!!!! Until the Holy Spirit brings us to a knowledge of our sinfullness, and a brokenness Over it and how it grieves God, we cannot be saved! If you hear my voice today……repent and believe!